Glenwood will be sending Sheetle and Gabe to the speech fest next Tuesday! 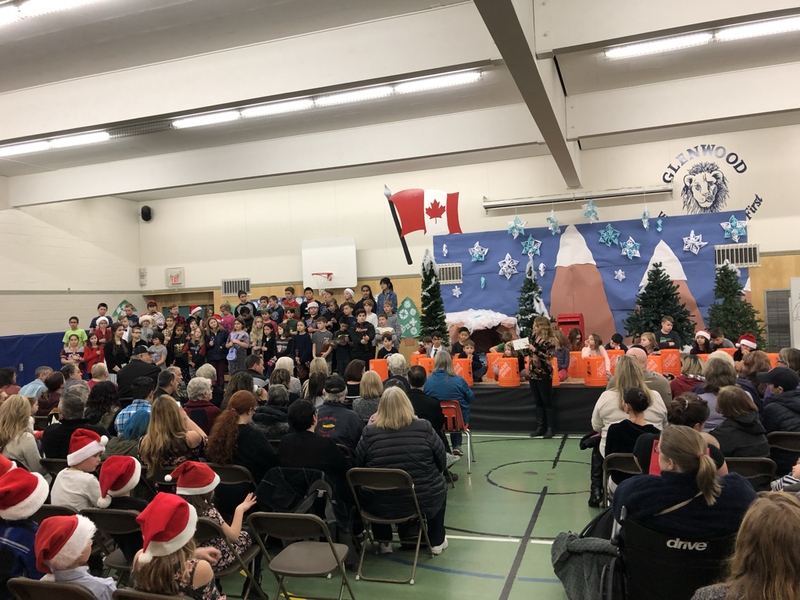 Although Vinnie and Lakhmeet were not chosen, we are still very proud of them for having the courage to stand in front of an entire gymnasium full of people. Way to go! We will have several Model United Nation modules in Term 3. Students will have opportunities to simulate what the actual UN does when they meet. Part of the UN mandate is to cooperate with other countries to help find solutions to problem. To illustrate one of the problems that the UN might try and solve, we watched a video on the water crisis in India and the students asked deep-thinking questions about the issue. Now they have an opportunity to choose a country in the UN and research it so that they could represent it. In the Model UN, students will use the resources of the countries they represent and discuss with other countries' representatives to come to a solution to the problem at hand. The future of our world rests in these students hands. It may be a simulation right now, but they will be the generation who may have the answers to many of the current problems the world faces. Good luck! Starting the last term with a bang! Congratulations to a great Term 2! I know I have high expectations for my students, and I'm very impressed by the effort that I saw to meet those expectations. I saw a lot of growth in my students, and I'm optimistic that I will see even more in the next term! We have a lot of changes coming in Term 3. First of all, students are allowed to bring squirt bottles to school again, Of course, if the reason for the squirt bottles to be banned comes back, then the squirt bottles will no longer be welcome for the remainder of the year. Hopefully after an entire term of being squirt-bottle-less, students will make better decisions! Second of all, I would like to encourage more healthy snacks for our students. I'm not asking for a lot of changes, as most of you already make sure that there are fruits/vegetables and other healthy choices are in their lunches. Lately, however, some students are asking to bring soft-drinks to school, or having candies like Fruit Roll-Ups as snacks. Therefore, I'm asking the students to not bring soft drinks like pop to school or hard candies, with class parties or special events being the exception. Students do get candies from me when they do Math, and they can continue to purchase candies on Fridays at the class store. 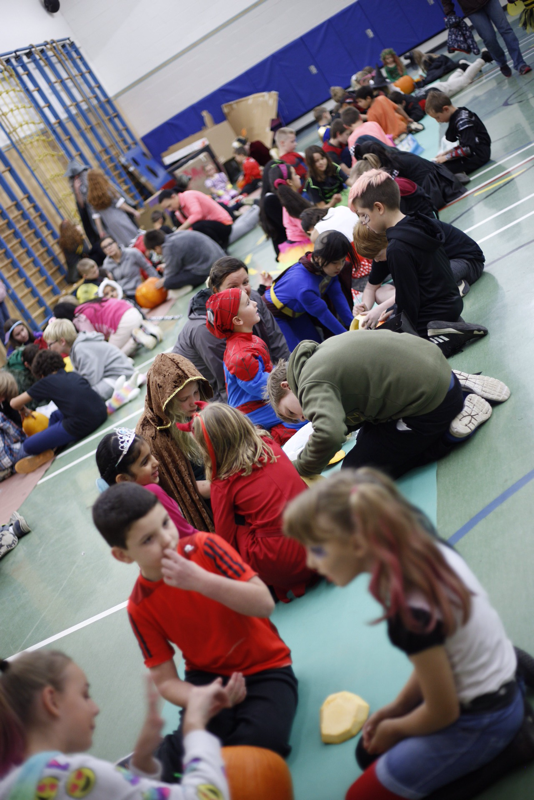 Since there is no shortage of candies, it is not necessary for them to bring even more to school. Finally, thanks to the help of students, parents, and a very generous PAC, we may be able to have flexible seating in Division 2 very soon after Spring Break! We're still missing a few key items that I unfortunately cannot obtain until late April or May, but we will most likely have the floor seats and the standing desks ready to go. I will give all the students a chance to try these seats at first, and after everyone has had a turn, students who are willing to pay more rent will have first choice in these seats. Because there will be several area rugs, I'm asking all the students to make sure they have gym shoes that won't go outside, or keep a pair of inside shoes. I will have slippers for students who forget. Lastly, in flexible seating, all supplies are shared. If the students have special supplies they would like to keep for themselves, they will need to make sure that these items can fit in the magazine folders, where their duo-tangs and binders will go. These changes are all very new for the students and myself, and as much as I would like to prepare for every possible outcome, I understand that I cannot predict every situation that might arise. Therefore, I appreciate your understanding and patience through this transition. Please don't hesitate to contact me if you have any questions or concerns. I am very excited about Term 3 and I hope you are too! All three teachers are going about the contest slightly different, and in Division 2, students will participate in the contest in a way that's similar to actual engineers presenting their ideas to possible sponsors. Students are required to create a design of their machine in drawing using the materials stated in the contest. Each material has a dollar value attached to it, and they must tell me how much it would cost to make the machine before they can get their materials. Groups are also required to explain their design to me, and if I like their design, then I will sponsor their project and they wouldn't have to pay for their materials. If I don't like their design but they still want to try and build it, then they have to pay out of their own pocket to build the machine. They have to be very careful with the materials because if they find out they need more, then they may have to pay for the extra material unless they could convince me that the material was broken as part of the testing process. This is similar to real-life engineering because engineers will often have to consider the cost of their projects. It's more cost-effective to build something that does the same thing for a cheaper price. Also, if engineers are building something expensive, sponsors aren't going to be too happy if engineers always come back for more money because they keep making mistakes. Students are welcome to take it home, and parents/guardians are welcome to give them advice, provided that there is an explanation for the science behind the design. This is a learning experience, and I believe that students should be able to learn from their family, as long as the students are the ones who build the machine. I made a terrible mistake today in Social Studies. I told the students that Ottawa is the capital of Ontario and Canada, not Toronto; but Toronto actually IS the capital of Ontario while Ottawa is the capital of Canada. I will let the class know this as well tomorrow. When I came back after school to pick up some work, the TOC had some really nice things to say about the students of Division 2. She said that you all worked hard to make sure everything was done right, and that you were very well-trained. That made me so happy because you were able to be the best you without my help for a classroom guest. It also means that all the hard work we've put into learning self-control and taking responsibilities really paid off. I know that you missed out on P.E. on Friday, so to make up for it, I will have two P.E. blocks this Thursday. Also to reward you for your success, I will give everyone who was in the class on Friday $50 with their pay cheque. You really earned it! We experimented with Newton's third law of motion - with every action, there is an equal and opposite reaction. This is the reason why when a gun is fired, there is a recoil, or the reason that rockets go up (because of the energy pushing down on the ground). In our experiments, we tried throwing balls of different weights while sitting on rolly boards. According to Newton, the person throwing the ball should move backwards as the ball moves forward because the body is reacting to the ball going forward with an equal and opposite reaction. Even though the bodies didn't move in our experiments, we know that it's probably because of the friction of the floor and the inertia of the people on the rolly boards that were preventing the people from moving. We theorized that if we had a ball that was roughly the same weight as the people on the boards, then they would probably move. Unfortunately, that was not realistic because even if we did have a ball that heavy, they probably wouldn't be able to throw it. We adjusted the experiment so that we had two people throw the heaviest ball really hard...and then we finally had some movement. Even though we were unable to see the actual movement, the people who were on the rolly boards described feeling like they were pulled backwards when the ball left their hands. Newton works! This week, we conducted 4 experiments on Newton's 2nd Law, which states that unbalanced forces would change the speed and direction of an object. For each experiment, student had to explain how the unbalanced forces played a part in the movement that they see, or if they don't see any movement, then how the forces are balanced. First the students had to stand up from a sitting position on the floor without using their hands. They discovered that the heavier their mass, the harder it is for them to get up because they need more unbalanced force to fight against gravity. Next, we paired up and students had to try and stand up back to back without using their hands. Some were more successful than others, especially if their size and weight are more similar because they were able to exert the same amount of force against each other's backs to create balance, while pairs with different height and weight had a more difficult time because the bigger person of the pair couldn't push as hard, and that also means he/she would have a harder time pushing up. The third experiment involved 4 people picking up a tennis ball in a trough without it falling out. It was more difficult when we had people with very different height and weight. Finally, our entire class took hold of a skipping rope tied in a circle and we leaned back together. We were able to stay "balanced" for awhile, but because we didn't space out the mass properly around the circle, we could feel a pull towards the heavier end of the rope...until it snapped (no one got hurt because we put mats all around us. Safety first!). Unbalanced forces are very important in engineering because we use this knowledge in building things that need to move, like cars and cranes. 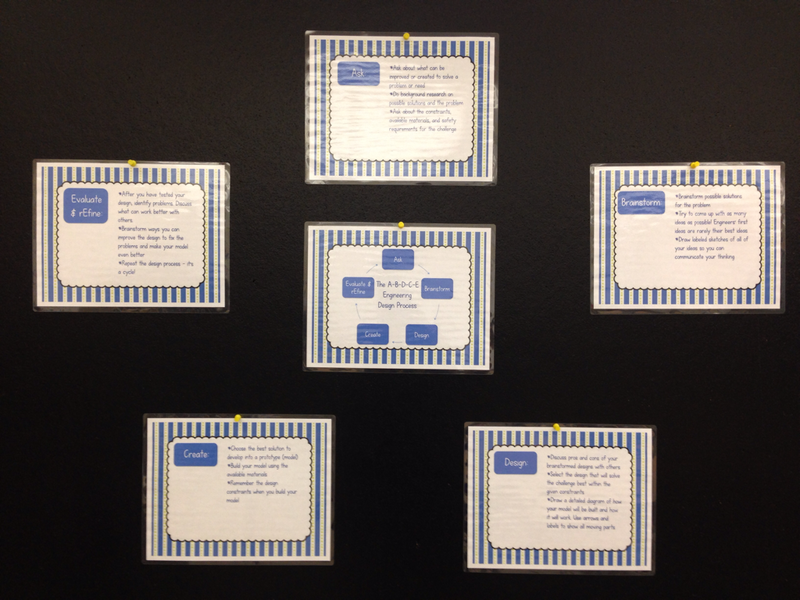 Students are gaining a better understanding of these concepts through these experiments! I apologize for the lack of updates on the website, especially for Agenda Items. It has been a busy week for our family, but next week I should be back on track, updating the site daily. Thank you for your understanding. We will be taking a short break from spelling to learn more about self-motivation and self-control. My hope is that we can go back to spelling in February. We started learning about Isaac Newton's Laws of Motion, and we began with "inertia." The students learned that something with more mass will have more inertia, which is an object's resistance to change. 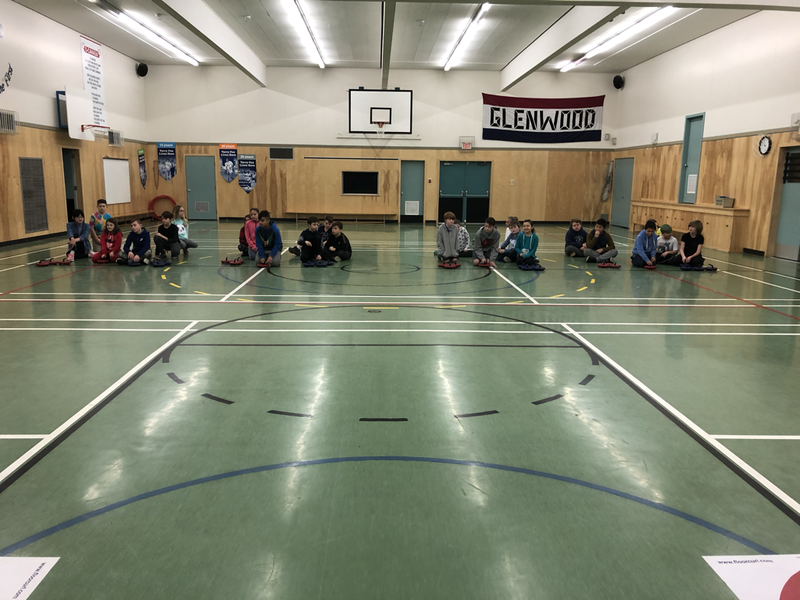 To experiment, we chose 3 students that are "small", "medium", and "large", and we had the same student pull these students and recorded the time it took for him to drag these students the same distance. We also talked about a "fair" experiment. They learned that an experiment wouldn't be fair if we got different people to drag the different sizes because everyone has a different strength. They also observed that the experiment couldn't be absolutely fair because the "dragger" would get more and more tired with each run. We will do more experiments in Term 2. Why would it be unfair to compare Jake's time with Tim's time? Before the break, I promised the students that I would try playing Fortnite just to see what all the fuss was all about. It took me a really long time to start playing it because I knew I wouldn't be great at it (and I wasn't). Then it occurred to me that this is how the students must feel whenever they're faced with a subject that they're not particularly good at. I "showed off" my Fortnite "skills" in class to show the students that I get how they feel. This also coincides with our focus of the month - "enthusiasm", and our quote of the month - "Success consists of going from failure to failure without loss of enthusiasm." I was not terribly enthusiastic about Fortnite because I felt like I would fail, and therefore I wasn't very successful and I didn't feel the urge to continue. 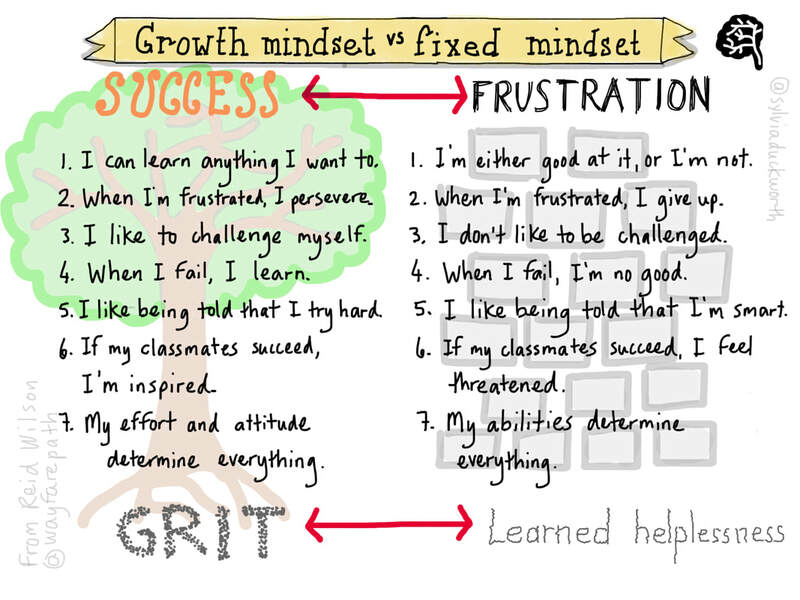 But to be a good role model, I will use growth mindset with Fortnite and continue on with it even though I know I'm not very good at it, and I will figure out how the students do it and understand that this may take some time and effort (sound familiar)? I hope the students will do the same with the subjects that they're not particularly fond of and continue their educational growth. We had a fun last two days with plenty of rest and relaxation, and I hope you get plenty more on your holidays! I've put up the hirings on the jobs board in the classroom. You will see them on the first day of school. There are still a few people who need to do interviews with me and who I'm still waiting for references, and that's why their names are not on the board. Over all, I've been impressed with the quality of the interviews. You really put a lot of work into it! Remember, if you've been hired, your job starts on MONDAY. Students wrote a reflection on their efforts in Term 1. I think it’s very important that they understand marks are not just magically given to them - they are often a reflection of their efforts. Another thing they need to understand is that a bad mark says nothing about their intelligence or what they’ll get in the future. They need to use growth mindset and believe that they have the power to make changes, and that their intellect is not fixed. I am actually quite pleased with what this class has been able to achieve this term, and I look forward to more growth in the next! They finally got the 20th star! 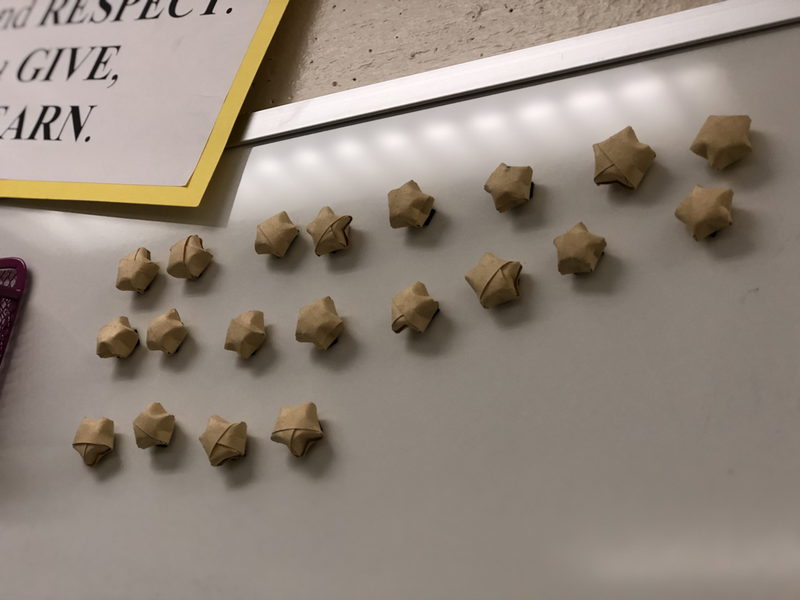 I’m very proud of my students because to get these stars, they needed to have a clean classroom, work together, follow rules, and be quiet during work time (this part was very challenging)...and only when ALL those factors are present could they receive a star. I have high expectations for my students, so I’m very happy when students are able to meet them. I also think that when they are able to grow to meet these high expectations, they become more confident individuals and they mature. Great job, Division 2! How much money will a student need to spend in a month if they moved out? This is the question we discussed in class today, and we did research based on the "average" person - assuming that there will be no parental involvement and they are renting a place, not buying. We talked about how housing prices are different depending on where you live. Some of them were surprised at how expensive a motel would be if they were to live there for a long time. In addition, we talked about how much food will cost. Some of them found out how expensive their month would be if they ate a steak every day. We also talked about the health ramifications of eating a packet of instant ramen every meal. Some students' meals cost $1000 per month (I hope there are some calculation errors there! ), and others went as low as $200 per month. We will continue the discussion tomorrow about other costs of living. These costs will be added onto their classroom economy "bills" they have to pay. Exciting things to come! What are the responsibilities of the jobs you're applying? How will you exceed my expectations for the job? What is your biggest challenge that could affect your job performance and how will you overcome it? I will also ask questions specific to the individual resumés. Students are encouraged to take these interviews very seriously. They should dress appropriately and have their game-faces on. It can be a nerve-wrecking experience, but students do learn a lot of life lessons. I look forward to having a sneak preview to what my students will look like as "adults"! Students learned about the importance of a resume in applying for a job today, since their job interviews will be held in the last week of school in December. They were given a resume template that they had to fill in, but they also have the option of making their own resume if they need more space. I also told them to go home and talk to their parents about their experiences applying to a job. Students are also required to have reference letters for their interviews. This reference letter can come from any adult not related to them, or a high school student Gr.10 and above, and it needs to be an actual letter. If you have any questions or if you would like clarifications, please feel free to ask. As you may know, Division 2 is very close to collecting their first 20 stars to earn a day of Rest and Relaxation. On this day, we will play games, do art, and watch a movie. We work hard, we also play hard! Suggestions will come from the students, as it is meant to be a treat for them, and I told them that the movie has to be PG or below. Because of the rating, I will be asking for parental consent before the movie viewing. Stay tuned! 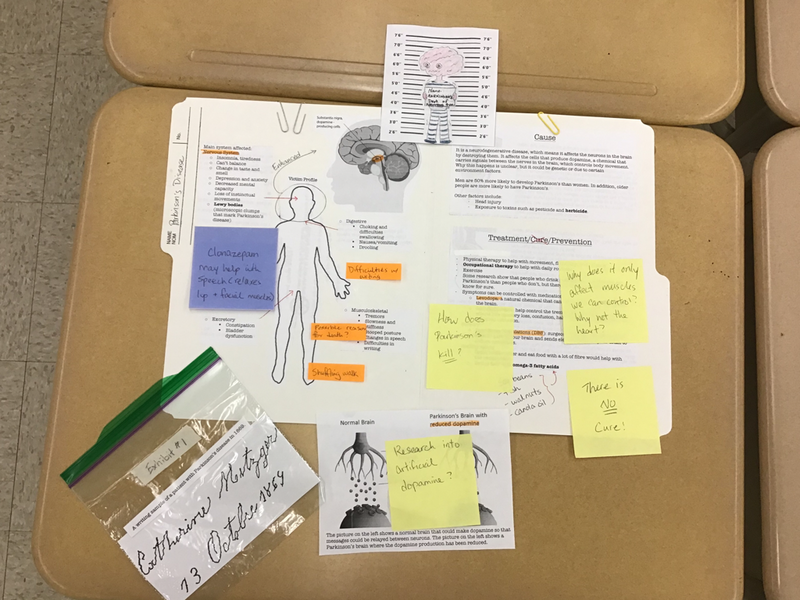 We started our first major research project on diseases/disorders, which also ties into the body systems learning outcome.Students choose a disease/disorder and make them into a "perp" or a "suspect" and create a police case file on the disease and disorder. Below is the example I made on Parkinson's disease. Students were quite surprised to find that this sample would be a C+ project. By Division 2 standards, C+ is average, and this is an average project. I did everything I was supposed to do and I didn't really do anything extra. Therefore, I will receive a C+. To get an "A" in Division 2 would mean that the student is ready to move on to the next grade. Please encourage the students to not feel disheartened, but rather see it as a challenge - Can they do better than Ms. Wen (who, by the way, did this in two nights, so it's really a rush job)? Remember - growth mindset! 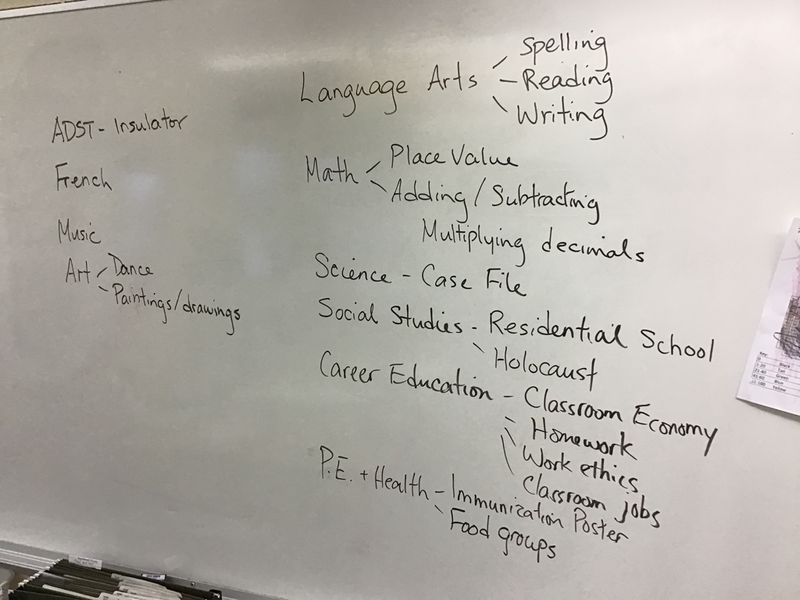 Today is our first official introduction to classroom economy, and we talked about choosing a job that is right for them. They learned that a job that makes a lot of money isn't necessarily the best job because it might be difficult to do or very stressful, and they should choose a job based on what they think they'll be good at and whether it's something they actually want to do. Today, they wrote down the top 3 jobs they would like to apply for, and I will be putting them in those positions for the next 2 months to see who is the best for each job. They know that everything they do in the classroom will affect whether or not they get the job they want because I would want to hire someone with good work ethics, no matter what job they apply for. They were also informed that they will need at least one reference letter from an adult (or who is at least in high school) who is not related to them (including step-parents), and some jobs will require two. They can ask previous teachers, baby-sitters, tutors, coaches...anyone who has seen how they work and like what they see. The main idea of classroom economy is to prepare the students for life after school, and to appreciate what they have now as children (it's not all fun and games as adults!). Parents and guardians can help with this process by talking about your own experiences getting a job so that they understand why learning about this is important. Please let me know if you have any questions about this program. I will also be sending more information home as the actual start day of classroom economy draws closer. 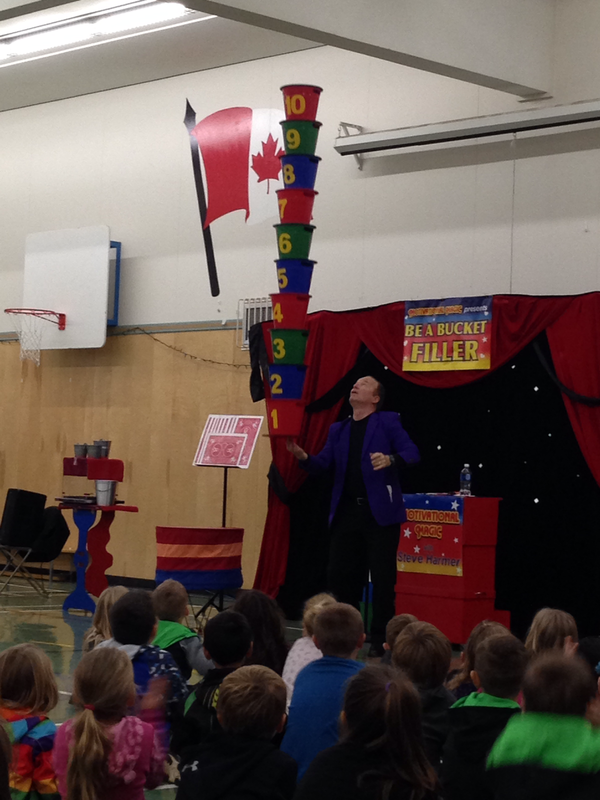 We had the privilege of watching Steve Harmer teach us about being kind to others through magic. We learned that by complimenting and being kind to others, we are filling each others' "buckets". 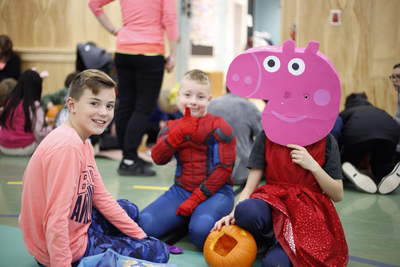 We were also reminded that it's not just about being kind to our friends, but to EVERYONE, including the teachers, the principal, and their own families. 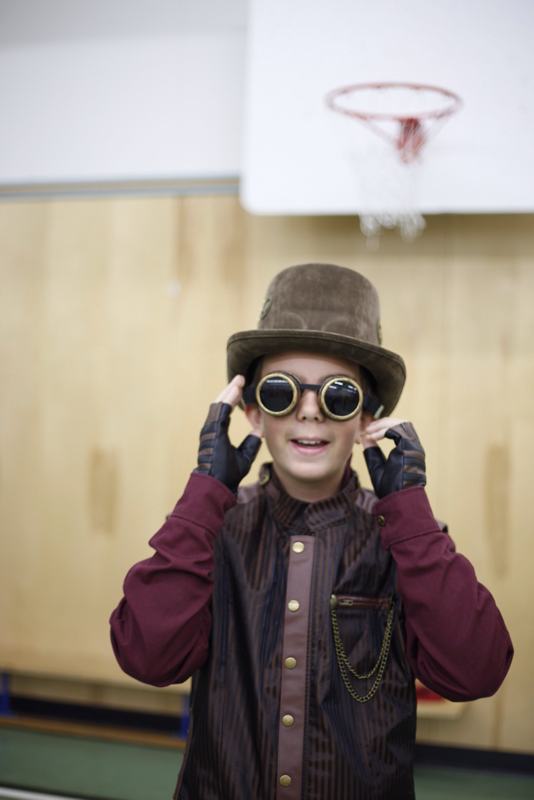 Some students were pleasantly surprised at how easy it was to sit through an hour-long assembly when they're having fun! I would like to give a big thank you to the parents who were able to find time out of their busy schedule to meet me for the parent-teacher interview. 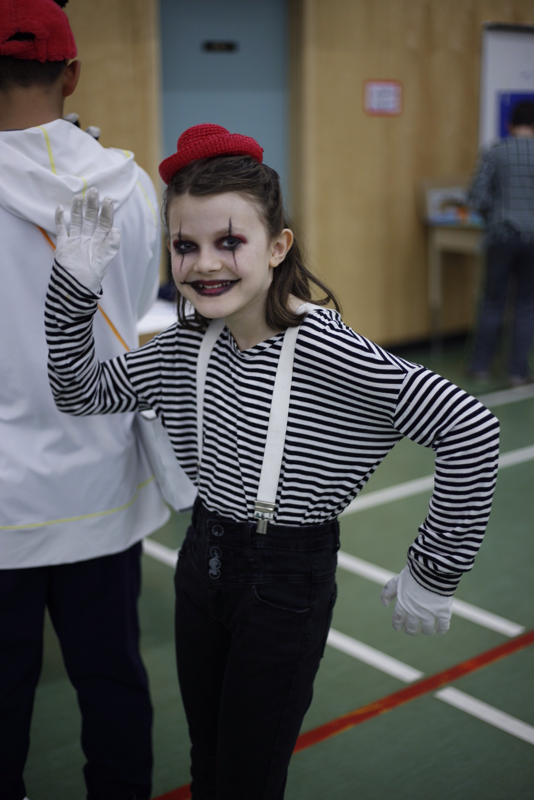 Overall, I am very happy with the amount of effort that the students have put into their academic and social-emotional learning. Great job, everyone! 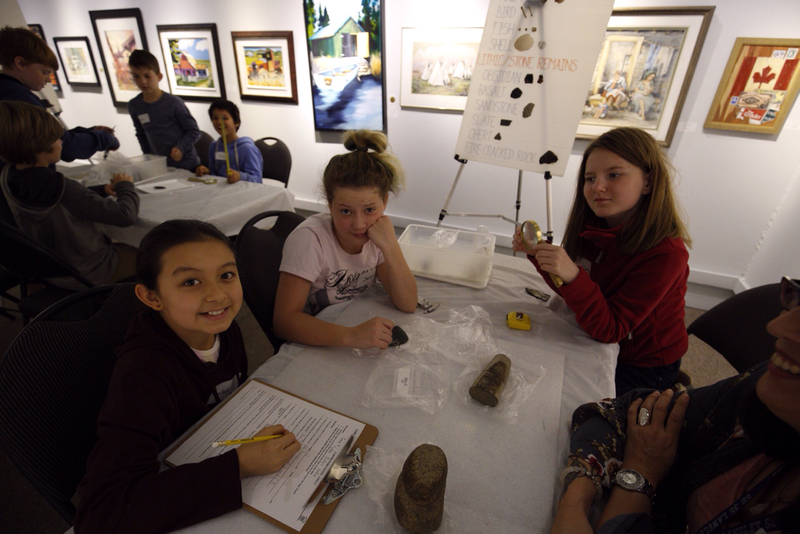 We had a great experience at the museum today learning about archaeology. 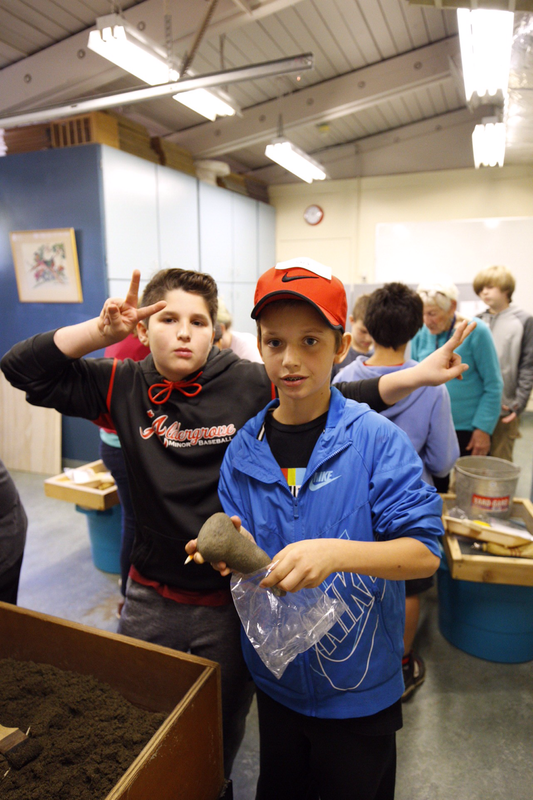 Students handled artifacts and practiced excavating using actual excavating tools. 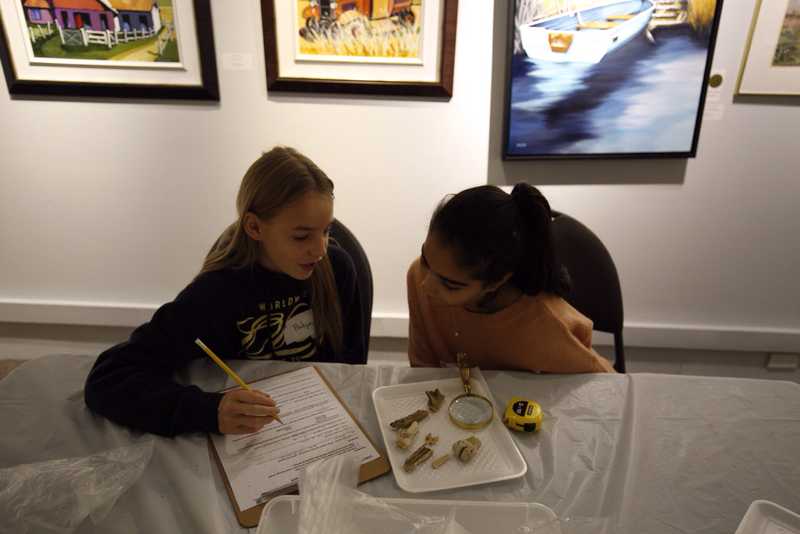 I was very pleased with how much respect our students showed while they were at the museum, and they really took their tasks seriously, so I think everyone did a lot of learning! We had a class meeting to talk about behaviour expectations. I introduced our classroom mantra for the month of November: "The things that you do when no one's looking are the things that define you." Teachers can remind the students of the proper behaviour, their classmates could help encourage them to make the right choices, but ultimately, it is the students who decides the type of person they're going to be and whether they will act like who they say they are. I hope to see students grow to become the people they say they want to be in the future. We went over the insulator competition results today. The insulators that held the temperature the longest were “Get It, Girl” and “Potato Aim”. However, if I look at the insulators based on functionality and appearance, I would pick “Egg” as the winner, because the group managed to create something that is relatively pleasing to the eye and functional. In addition, their insulator came in second for temperature. 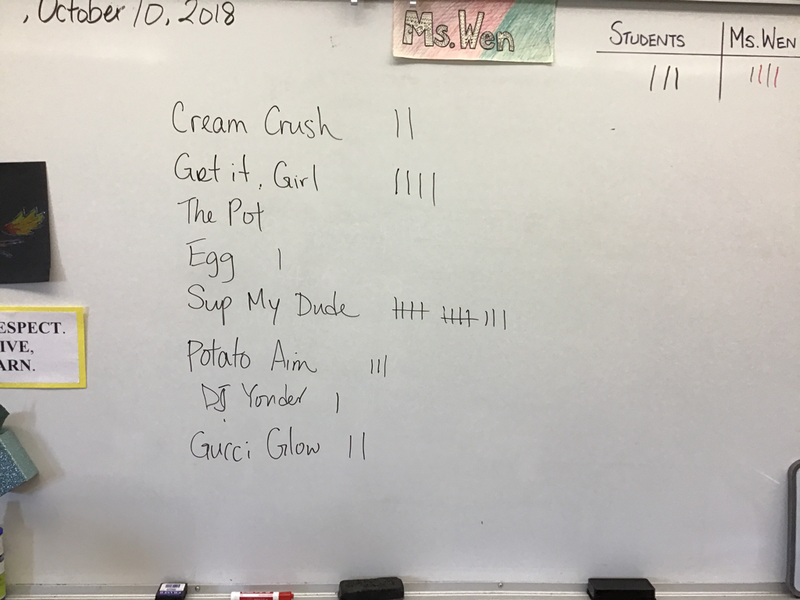 We also did a popular vote, and with the students voting, they decided on “Sup My Dude.” When asked why they chose it, they said they liked the name (which is relevant when it comes to advertisement...I can recall many a times when I bought something simply because of the name), and they liked the design that went into it. Students had a lot of fun with their first STEM project, and I hope they will continue to enjoy learning more about the engineering process in future projects! 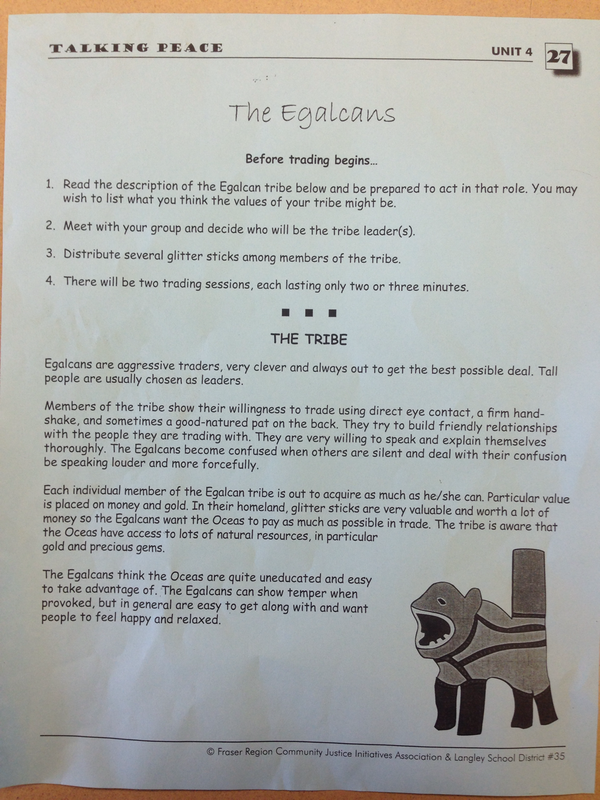 As an introductory activity to Social Studies, the class was divided into two clans, the Egalcans and the Oceas. 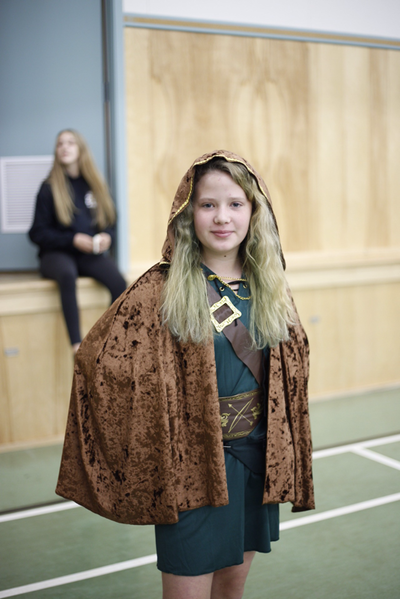 Both groups were given a separate description of their clan, but neither group knew anything about the other clan. After they familiarized themselves with the descriptions, they meet to trade. 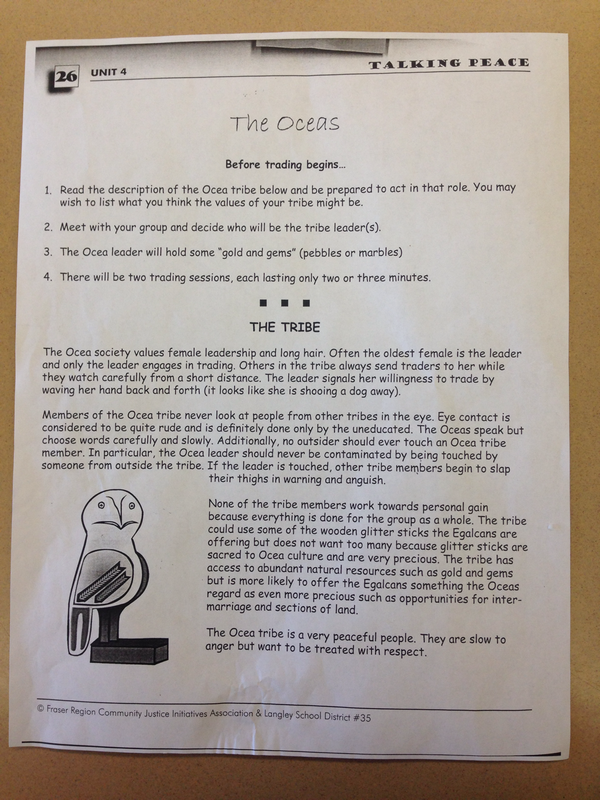 Students discovered the challenges of meeting someone from a different culture for the first time - the Egalcans were confused when the Oceas kept backing away, and even more confused when the marriage proposal came with the trade deal. The Oceas were offended because the Egalcans spoke very loudly and kept trying to touch them. Obviously, under these circumstances, no trade deals were made. We met as a class and this time, we learned about the culture of the other clan and tried to make a deal while respecting the perspective of the others. The Oceas managed to get 3 of the sacred candy rods, and the Egalcans received many candy gems. 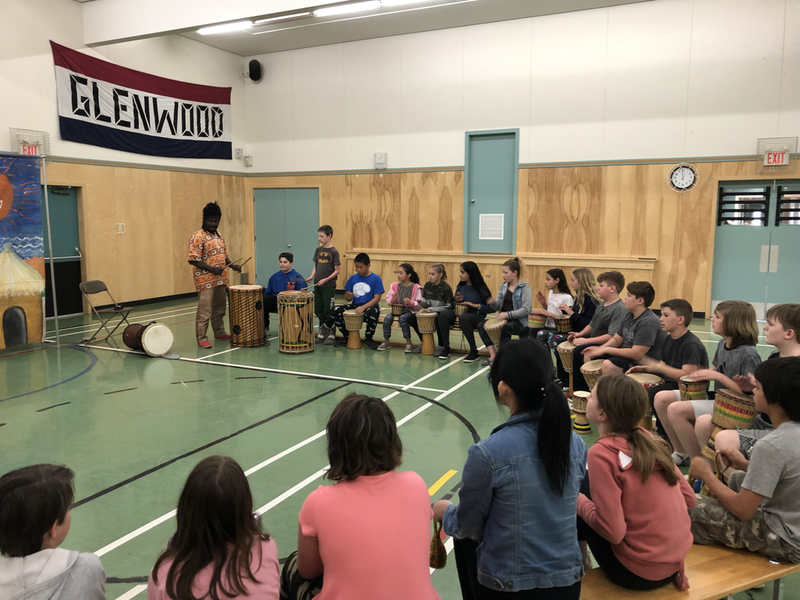 There were many other learning opportunities that presented themselves during this activity regarding how it relates the real world, specifically racism. I hope the students learned a lot from the activity and can apply these lessons in their lives. Let "respect" be your mantra! 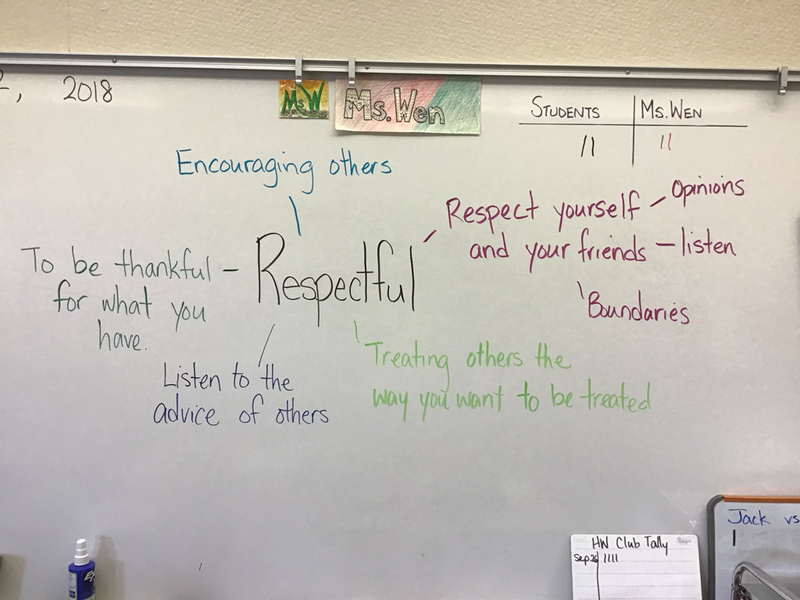 We continued our discussion on respect today, and students went online to find their own respect quotes that would be their mantra - something they would live by. Students posted them on Fresh Grade and explained what the quote means to them and why they chose it. We had a class meeting about respect as well, and we talked about how other people's disrespectful behaviour is a reflection on them, not on themselves. If they can be the better person, then I hope they can make the right decision and be that better person. What are some examples of respect? In Div.2, we are going to use this quote by Dwayne Johnson as our mantra: “Blood, sweat, and respect. First two you give, last one you earn.” We will continue to talk about how we would go about giving and receiving respect in October. If you have other good quotes for respect, feel free to pass it this way! Today is the first time students got a chance to test out their insulator prototypes, and many had interesting results. 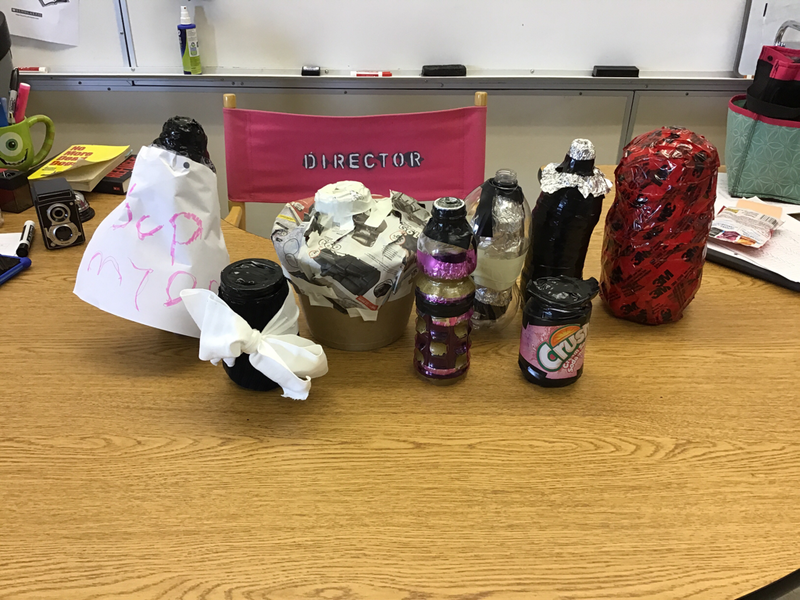 With each mistake, students had to make decisions regarding whether to start new and waste materials, or to improve on their current design. 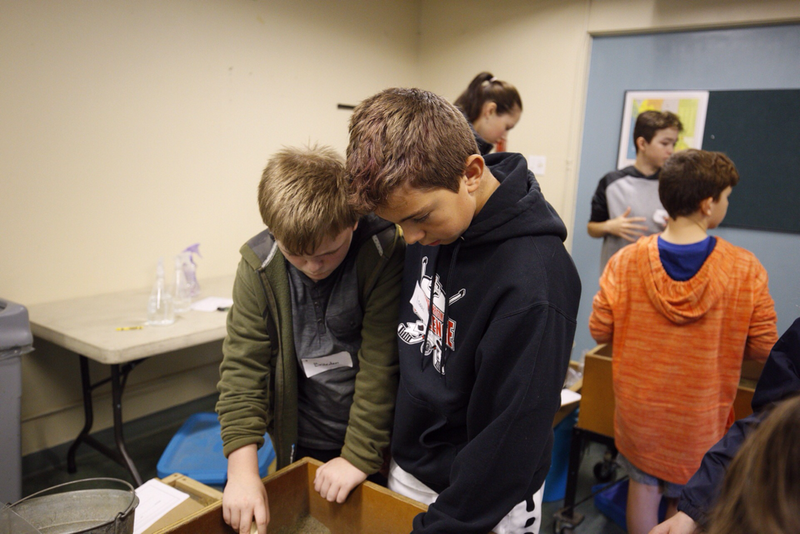 Even when their design is able to retain heat fairly well, they need to think about other ways to improve the design, such as making the water safe to drink (there was a lot of melting plastic...) or making the design less bulky. Students are learning that there is a lot more to being an engineer than to put some materials together! On Friday, we will have an Orange Shirt Day assembly. In preparation, we wrote a reflection on a short story about a Cree grandmother remembering what she went through in Residential School. Today, we also watched some videos from the CBC Archives (www.cbc.ca/archives/topic/a-lost-heritage-canadas-residential-schools) about what it was like back then, along with some personal accounts from survivors. We will be writing Haiku poems on what they learned and make it into an art project. 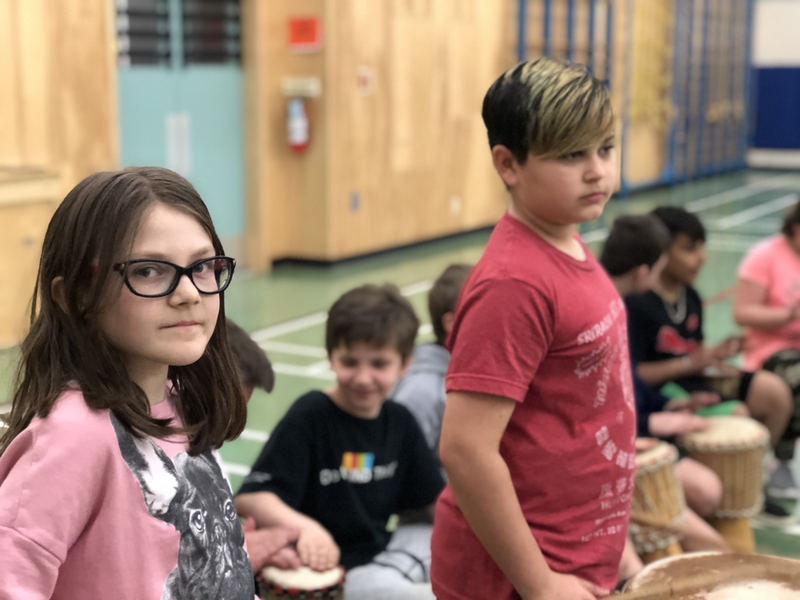 We will continue to learn about the reasons for why Residential Schools came to be and how reconciliation can take place as part of our learning outcome in Term 1. From there, we will learn about other major issues in the world (the Holocaust, the Syrian refugee crisis) where the government violates human rights and directly causes the suffering of their civilians. 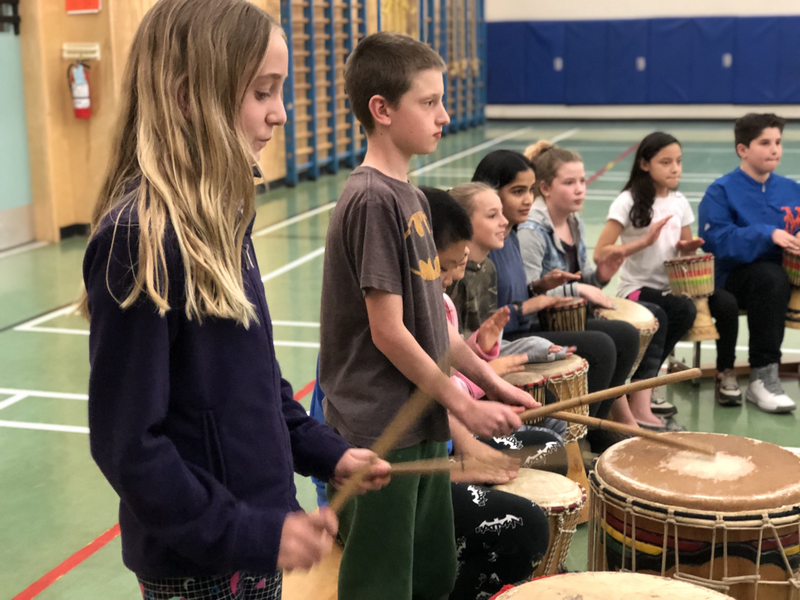 These are very heavy topics, but it is important for the students to learn more about the world so they can see beyond themselves and become global citizens. If you have any questions or concerns, please don't hesitate to contact me. Today, parents and guardians will be receiving an email regarding the online reporting system called Fresh Grade that the students in Div.2 are going to use for the rest of the year. Please accept the invitation to join Fresh Grade when you receive their email so you can keep track of your child's learning! We will officially start our spelling program on Monday! Please take a look at the "Spelling" tab above to get an overview of how spelling will work in Division 2. Even if you're an old student, you can still take a look because some things have changed. I've also uploaded the silly story we wrote together as a class. Enjoy! We learned about the engineering process, or the steps engineers take to design/create new products. Knowing all these things, students will design an insulator capable of holding hot water at 100 degrees for as long as possible. They can bring whatever material they want to make this insulator, but they must follow this process. It's a circular process, because engineers repeat this process until they have a product that would solve their problems. We'll see what they are able to create soon! 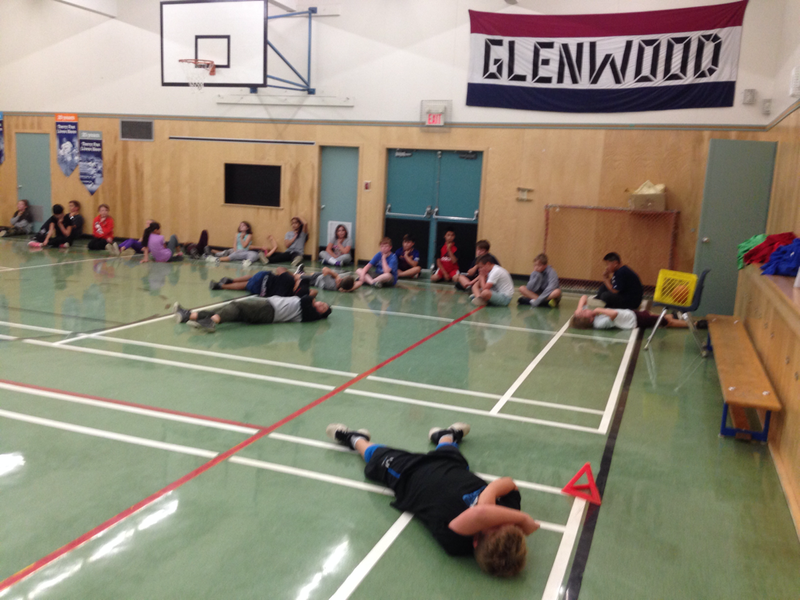 I told them if they weren't sweating by the end of PE, they weren't working hard enough! ...I'll slip the answer into our conversations tomorrow, so you have to be paying attention! The "Message Board" part of the website will not be updated all the time, but the "Agenda Items" page will be updated almost daily. You can also check out the Math page at home since they weren't working on the school iPads. Have fun! Today in PE we talked about what the heart rate a healthy person their age should be (60-100 beats per minute at rest, 105-147 for when they're active) and how this is connected to their health. They practiced finding their pulse to see where they're at. 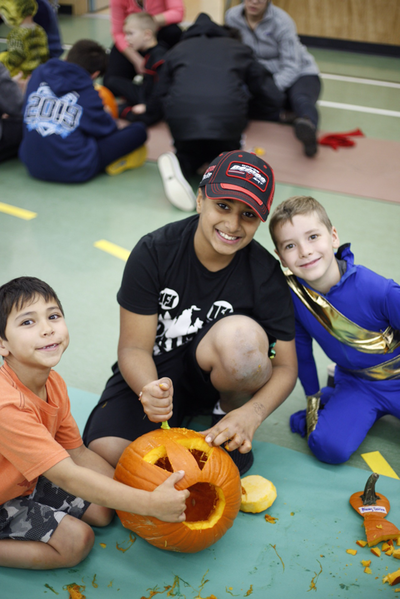 They learned that a good athlete or a person in good health might have a heart that beats slower than others because their hearts are so strong, they don't need to work as hard to pump blood all through the body. If their hearts are pumping above average...they probably need to do more exercises to make their hearts stronger! 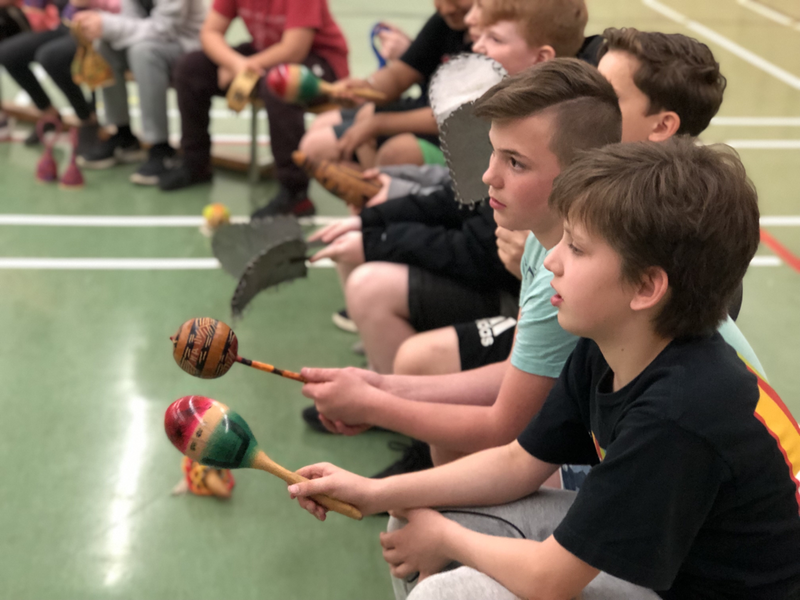 We will continue to make connections between physical activities and health throughout the year. I told the kids today - if you're sweating in my PE class, then you're not working hard enough! We learned about the importance of leadership in a team. A good leader has the trust of his/her team because he/she motivates, encourages, and keeps the group together by making sure everyone contributes. Then we put it to practice! They had to work together to make a cup tower using the contraption shown in the picture. No hands allowed! Groups that talked with each other and took turns giving suggestions managed to make their tower quickly. But Ms. Wen being Ms. Wen, they had to make an even taller tower. Growth mindset - you're never done. You always think about how else you can do better! We discussed in class about challenging ourselves and learning from failures to allow their brains to grow. Knowing how to work together in a team because in their future careers, chances are they will work with other people who they didn't choose to work with, so they should learn how to do it now. This is also a big part of their Career Education mark - how well they work together as a team. I'm seeing a lot of positive things happening in Division 2 right now, so I hope we can keep it going! Greetings, students old and new! I hope you will have a great year in my class. I've made some changes to my room so that the "veterans" in my class won't feel like they're doing the same lessons twice. You can get a sneak-peak at the assignments and lessons that will be covered in Term 1 under the "Term 1" tab above. Feel free to browse the other tabs to learn more about your classroom. I look forward to getting to know all of you in the months to come!